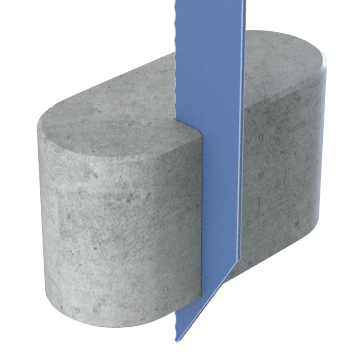 Commonly used in construction, demolition, and maintenance applications to cut through wood, metal, drywall, masonry, and other building materials, reciprocating saw blades come in a range of materials, lengths, thicknesses, tooth geometries, and teeth-per-inch (TPI) counts. TPI is the number of teeth per inch on the cutting edge. 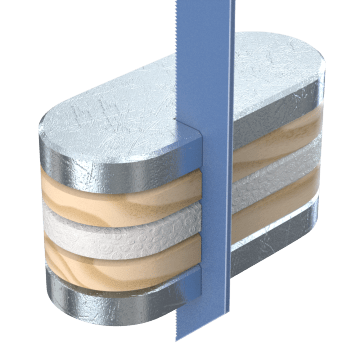 Generally, blades with higher TPI leave a smoother finish on the workpiece but cut more slowly, and blades with fewer TPI cut more quickly but leave a rougher finish on the workpiece. Choose a blade with a shank style and width that is compatible with your tool. These blades are the most common choice for everyday cutting tasks in a wide range of materials, such as wood, metal, and plastics. With a tooth geometry that creates small chips and reduces friction and heat during cutting, these blades can cut through metals, plastics, and composite materials. They are compatible with air-powered saws with a 1/2" shank. 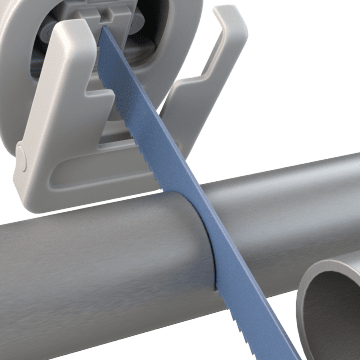 Providing a balance of flexibility and durability for everyday metal-cutting tasks in plumbing, electrical, and demolition applications, these reciprocating saw blades have a tooth geometry that is well suited for cutting sheet metal, hollow tubing, and structural shapes. 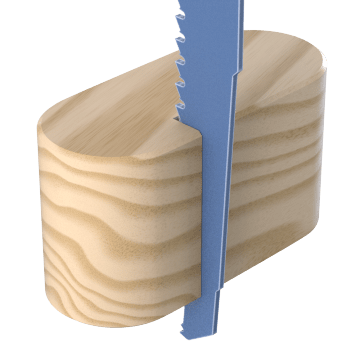 Optimized for a variety of wood-cutting tasks, including cutting engineered lumber and nail-embedded wood, these reciprocating saw blades are often used in carpentry, construction, demolition, and forestry applications. 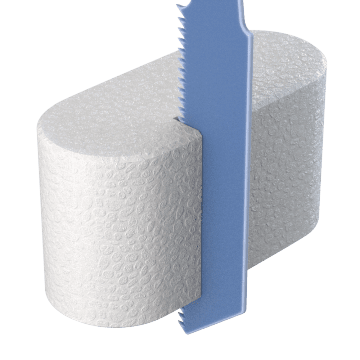 An abrasive grit on the continuous edge of these reciprocating saw blades allows them to cut through hard and abrasive materials such as cast iron, fiberglass, ceramic, stone, brick, and plaster. 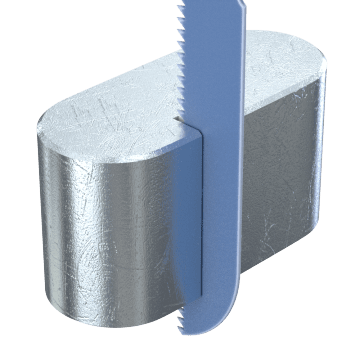 Often used in construction and demolition projects, these sturdy reciprocating saw blades can cut through drywall, plaster, and lathe. Select these reciprocating saw blades for cutting through plastics such as schedule 40 PVC pipe. 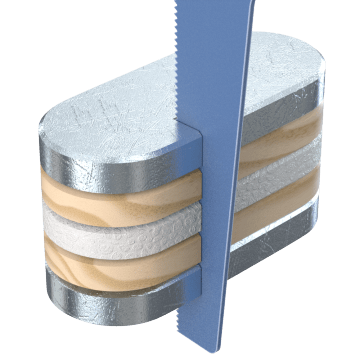 Typically shorter than standard reciprocating saw blades, these blades can maneuver more easily in tight spaces. 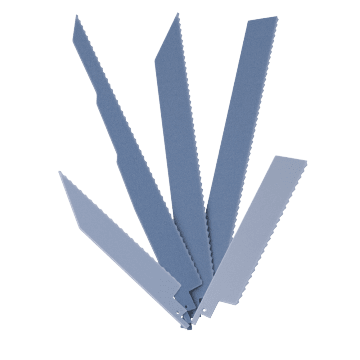 Reciprocating saw blade assortments contain multiple blades in different sizes and styles for cutting through a variety of materials.